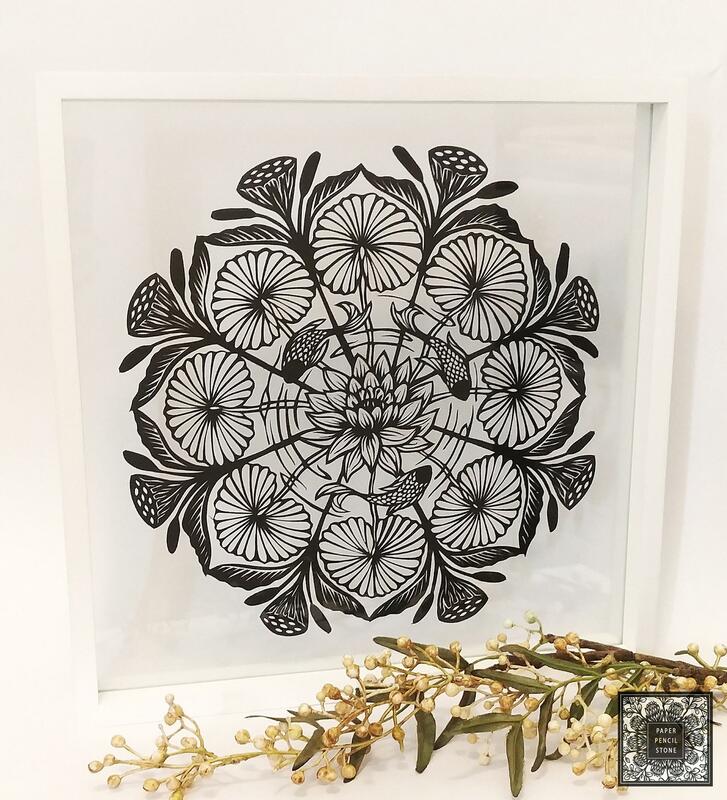 "This piece was inspired by the mandala craze with my own twist, I am most inspired by flora and fauna that surrounds me and this particular piece my many trips to the beautiful lily pond in my local botanical gardens in South Australia. This piece portrays life, water and movement in the centre branching out and enclosed protected by the older spent pods standing proudly at the end of their life cycle, all interesting and important parts of the one life and scene." "After gaining a Bachelor of Architectural studies and a background in drafting, I needed a break from computer aided technical drawing and returned to my first love of paper and pencil. 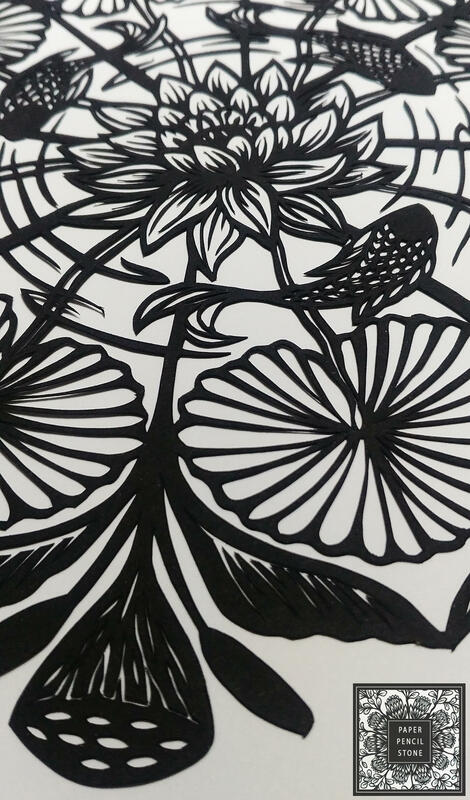 Paper cutting was a new medium I stumbled into four years ago and since then I haven't stopped. I love exploring the medium of paper and the way my illustrations can be constructed into something that you can touch and hold. On an ideal day you will find me at home in Adelaide, South Australia with my husband and our little dog Basil. Always found with a coffee and sketch pad at hand, my work and life is constantly inspired by my garden and the natural world around me."